Hong Kong’s a crazy city, and sometimes you just need to get away for a little quality time with your main squeeze. 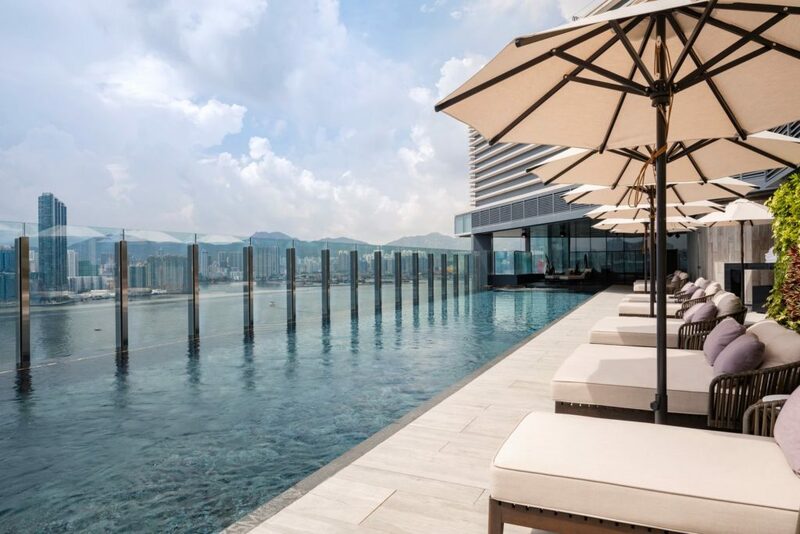 But if heading out of the city on a weekender isn’t an option, you can always check into these hotels for a romantic staycation in Hong Kong. 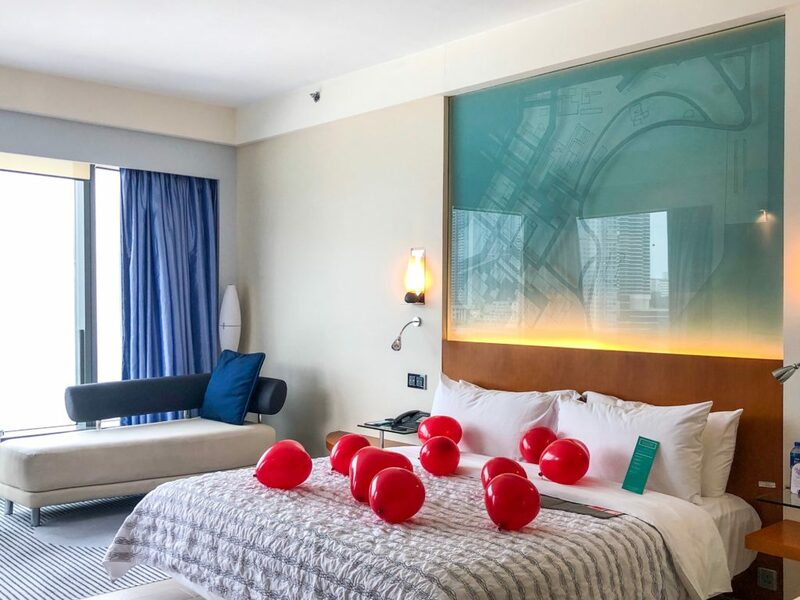 A guest room at Le Méridien Cyberport is decorated for Valentine’s Day. It doesn’t take long to get here, but this snazzy little hotel is a smart spot for a quiet romantic staycation in Hong Kong. 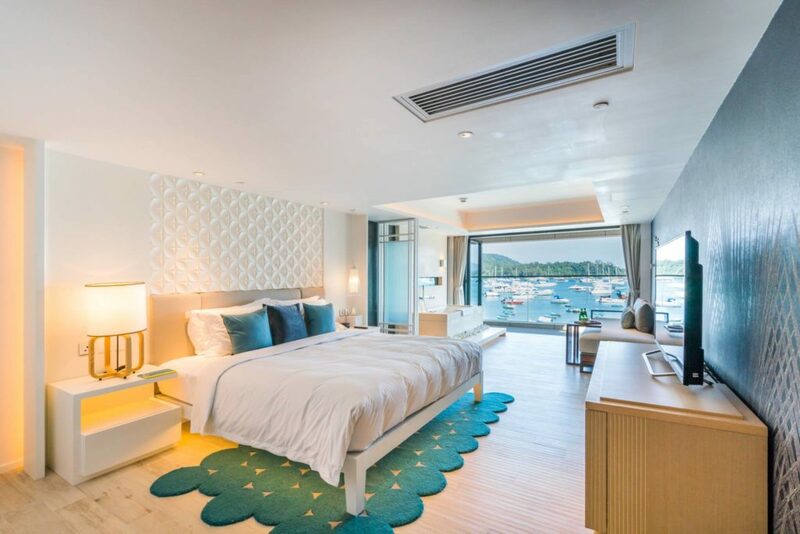 Check into a Deluxe Ocean Room to enjoy a sleek bolthole with plenty of space and plush seating that looks over a unique view of the harbor. You won’t go hungry, because there’s jet-fresh Japanese at Restaurant + Bar Umami, well-crafted Cantonese at Nam Fong, and a well-stocked happy hour at the Podium bar. Take a dip in the pool — it’s heated all year — and bond while taking a long walk by the seafront. Could there be a better place for an ultra-luxe romantic staycation in Hong Kong than this iconic grande dame hotel. The opulent Peninsula Spa offers all manner of indulgent treatments, along with a pool that wouldn’t look out of place in an Italian villa. There are a plethora of incredible fine-dining options, including Gaddi’s, Felix, Spring Moon and Chesa — and that’s before you get to the famous afternoon tea. All of this with discrete white-glove service and sumptuous rooms that make for the perfect hideaway? No wonder it’s a popular choice for couples wanting to treat themselves. Art, design, food and relaxation come together in this one elegant hotel. Spend your getaway admiring the design scheme by André Fu, ogling the artwork by local artists like Adrian Wong, enjoying aperitifs with a view at the Red Sugar bar, and feasting on a plethora of international dining options at Hung Tong, Big Bay Café and Dockyard. For extra relaxation, book a couples’ treatment at the spa at Base Camp Kerry Sports. By night, retreat to your oasis-like room (the Premier Rooms are the perfect space for two). The best part? Its location in Hung Hom means you actually feel like you’re on a romantic staycation, since you’re away from the hustle and bustle of Hong Kong’s busiest areas. Bathtub with a view at The Upper House. 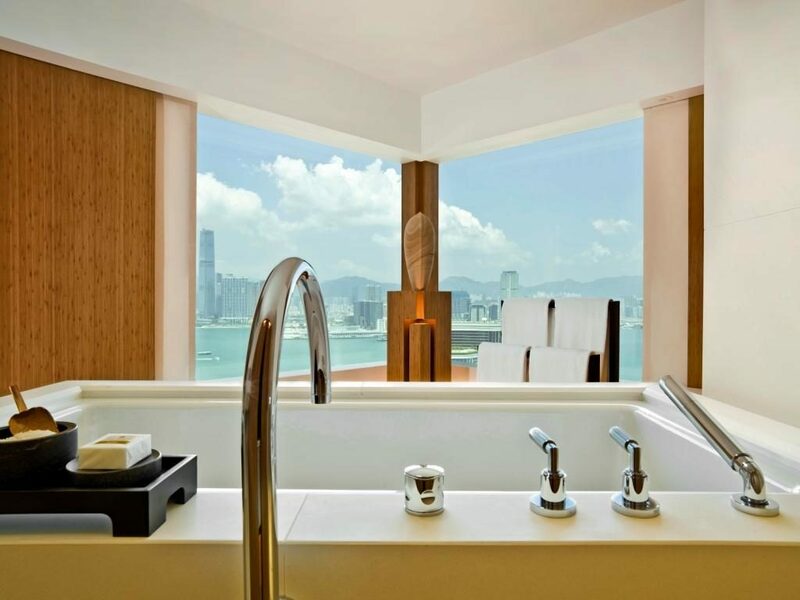 If you’re looking for a romantic staycation in Hong Kong that combines tranquillity with proximity to the best the city has to offer, you’ll want to book in quick to the Upper House. This bastion of sophistication might be in the heart of Hong Kong’s busiest areas, but walk through the doors and you’ll feel a million miles away. Enjoy a decadent romantic meal at Café Grey Deluxe — book a window table for exquisite views of Victoria Harbour — then retreat to your room to relax. The Studio 80 rooms are the perfect choice for couples, though all rooms feature bathtubs with incredible views over the city, and a menu of in-room spa treatments. This is all about spending quality time à deux, but for a little variety, some of Hong Kong’s best eating, drinking and shopping is a short walk away. Ditch the maddening crowds that are all too normal in Hong Kong and head to Tai O couples’ break that’ll truly feel like an escape from the city. You’ll want to check into the Sea Horse or Sea Lion. These two suites were once the an office and the officer’s bar, back when the building was the old police station, and are idyllic boltholes with (faux) fireplaces, plush beds and French doors that come together to give cottage vibes. The Tai O Lookout restaurant serves dishes inspired by the surrounding fishing village — think Tai O fried rice and pork chop bun with shrimp paste — amidst gorgeous colonial-style furnishings. Take time out to bond while embarking on one of the hotel’s heritage tours and exploring the local attractions. Another out-of-the-way escape, The Pier is a great choice for bonding over a quiet, romantic staycation in Hong Kong. 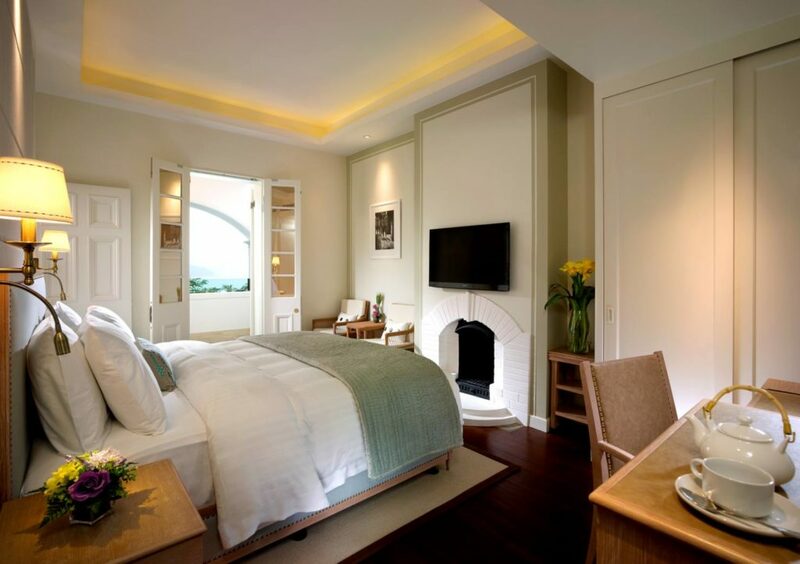 Located in Sai Kung, the hotel is a tranquil retreat surrounded by beaches, lush greenery, and clear waters. Spend your time sipping drinks on a lounger by the rooftop pool that overlooks the surrounding waters, and chilling in your Premium Ocean Front Terrace room which comes with a deepsoak tub. The room comes with a kitchenette so you can whip up your own intimate dinner, but if cooking’s not your thing, the onsite WA Theatre Restaurant offers an interactive Japanese dining experience. 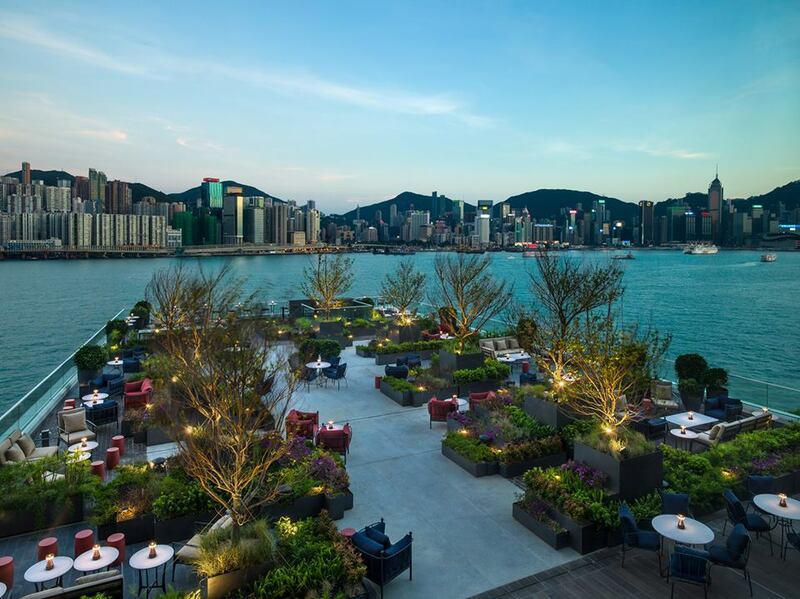 Tucked along the Central harborfront, this elegant property is the perfect romantic staycation in Hong Kong for couples looking to bond over epic meals and high-end wellness offerings. Slipping into the spa for a bit of pampering is a no brainer, but if your dates are right, you’ll also be able to attend a wellness masterclass lead by visiting practitioners or one of the mindful living sessions that include art therapy or full-moon meditations. 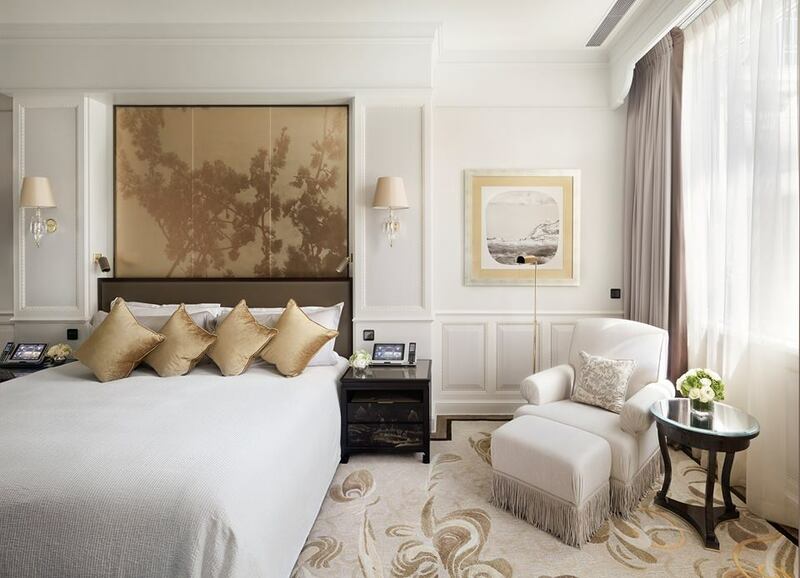 When hunger strikes, you can enjoy fine-dining French at the three Michelin-starred Caprice, jet-fresh sushi at the two Michelin-starred Sushi Saito, and exquisite Chinese at the three Michelin-starred Lung King Heen. In case you were keeping count, that’s eight stars all under one glorious roof, making this the hotel with the most Michelin-stars in the world. Ready to sleep? Check into a Deluxe Peak-View Room, a sumptuous oasis that marries Asian style with French elegance — and epic views, naturally. Bet you never thought of North Point as a destination for a romantic staycation in Hong Kong. But Hotel VIC on the Harbour just might change your mind. Rooms here are perfect for two,and come with free minibars and an app that lets you order room service and make restaurant reservations at the touch of a button — book a Deluxe Harbourfront room for serious views and a full-size bath. Grab drinks at Cruise, the rooftop bar, then enjoy a cozy dinner the adjoining restaurant. For extra romance points, head to the rooftop pool at sunset (or sunrise) and have a quite moment for just the two of you. This Central property needs no introduction, but if you’re looking for an easy romantic rendezvous with everything under one room, you’ll find it here. Slip into the Mandarin Spa for a couple’s massage, get dolled up at the Mandarin Salon and Mandarin Barber, then enjoy a fine candlelit dinner at the two Michelin-starred Pierre. 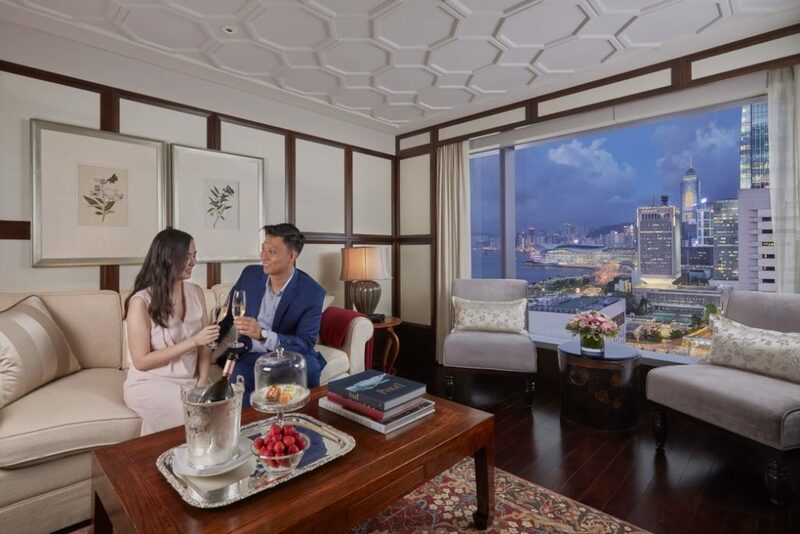 At the end of the evening, cozy up in a Harbour View Room where you can snuggle on the sofa while taking in some of the best views Hong Kong has to offer. It sounds far, but in reality Shatin is a quick journey on the MTR. Head here for a romantic staycation in Hong Kong that’s far from the island’s crowded streets. Book a Regency Harbour View Suite to relax in plenty of space as you enjoy unique views of nearby Tolo Harbour. Treat your sweet to an indulgence experience at the oasis-like Melo Spa (it offers restorative treatments by Elemental Herbology) then head to Sha Tin 18 to sample the signature Peking Duck. If the weather’s right, you may event want to laze by the hotel pool. Looking for more in-depth stories about Hong Kong? Check out our city living section.